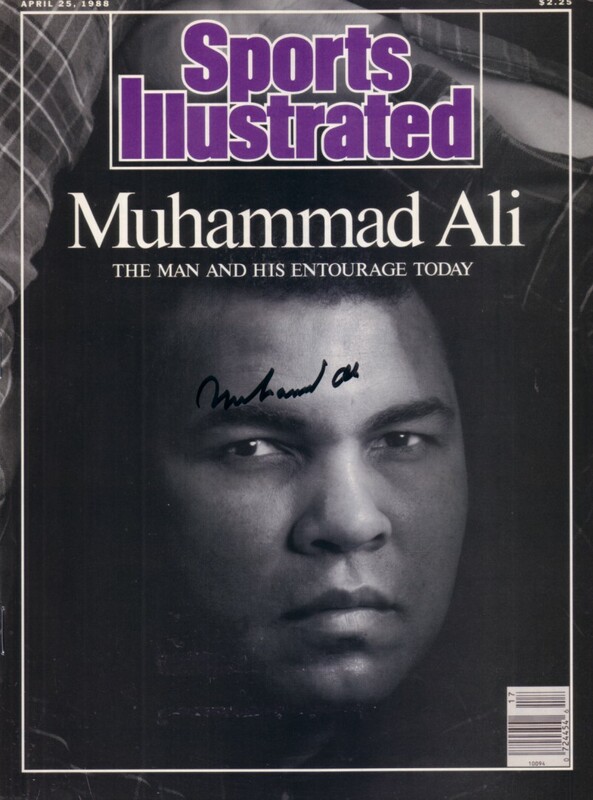 Complete 1988 Sports Illustrated autographed in black marker on the cover by legendary heavyweight boxing champion Muhammad Ali with a legible signature that he is no longer capable of signing. Obtained in person at 1989 promotional appearance in Dallas. 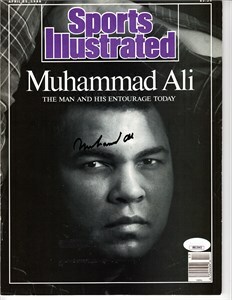 With certificate of authenticity from AutographsForSale.com. NOTE: subscription label removed leaving glue stains noticeable only upon close inspection, otherwise in nearly flawless condition. ONLY ONE AVAILABLE FOR SALE.